Having lived in Devon for around 6 years on and off, I am somewhat ashamed to admit that I have never ventured further afield than Exeter. I had heard many great things about North Devon but yet for some reason, whenever it came time to think of weekend's away or seaside holidays - Cornwall always seemed the go-to destination. However, we were recently invited along to the HighBullen Hotel which is located in the heart of North Devon's spectacular countryside - nestled between Dartmoor & Exmoor national parks, and just a short drive from the city of Exeter. I had browsed the website before our arrival, and thought it looked like a pleasant, quaint countryside hotel - I expected to have a nice time of course. I realise that reviews such as this can often be over-enthusiastic - but I am speaking the truth when I say that no amount of poetic description or unbridled praise could possibly do this hotel justice. We drove through the beautiful North Devon country roads on our approach to HighBullen on a beautiful sunny day, admiring the scenery...as we pulled up to the hotel itself we saw what we expected to, a pretty manor house-style hotel. 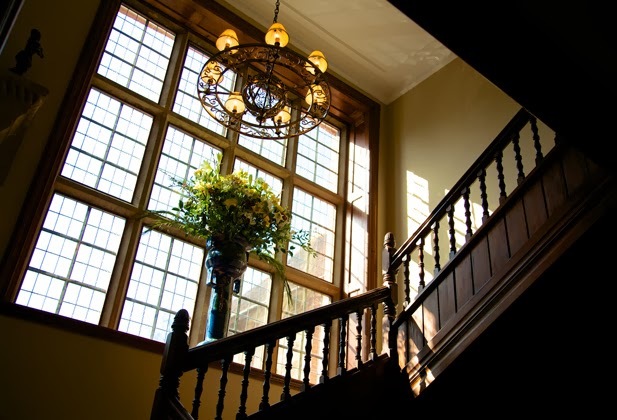 The decor is elegant and tasteful, yet still very luxurious - the feature staircase in the main hall is very eye catching and you can't help but feel elegant descending on your way down to dinner. 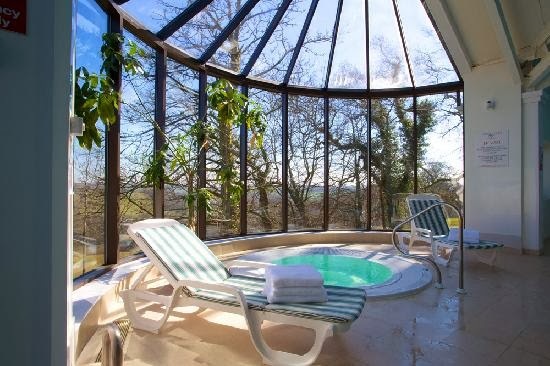 There are 2 or 3 very pretty morning rooms, each with stunning views across the sprawling North Devon countryside - the perfect place to take afternoon tea or relax with the morning paper. We were greeted by Grace, who (like all of the staff we encountered during our stay) could not have been more helpful and welcoming - she was always there to assist us with any questions we had, or just to greet us with a friendly hello and ask how we were finding things - I always find that hotel staff can really make or break a place in my opinion, and I am pleased to say that the Highbullen's staff are doing their jobs wonderfully. Our room was the Louis Seize which was on the 2nd floor of the main manor house. I was completely blown away by how stunning the decor was - everything was crisp and clean, with stunning features and the most enormous and luxurious looking bed I have ever seen. Tyne -as you can see - was in his element!! The bathroom was spotless, with both a large bath and separate shower. 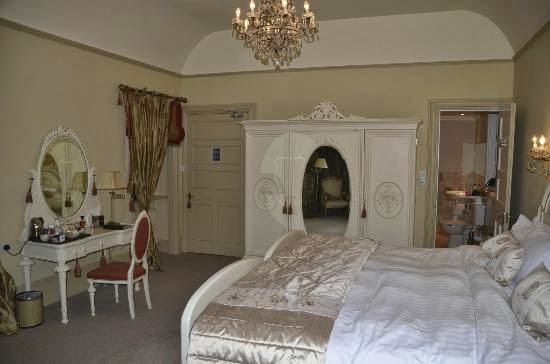 Both the bathroom and the bedroom itself were extremely spacious - there was a beautiful dressing table, and a large wardrobe which contained dressing gowns for use during our stay. Everything you could need was included - a hairdryer, an ironing board and iron, tea and coffee facilities, a large screen TV with a good choice of stations (including the all important childrens TV!) 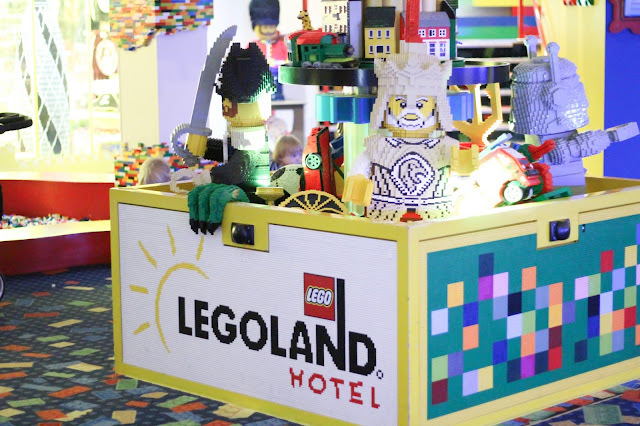 - upon browsing the Guest Services I noticed that it was also possible to borrow a dvd player from reception along with a selection of movies. The view from our bedroom was spectacular - it was impossible to capture how vast and beautiful the countryside was, and to see the sun rise over this setting in the morning was simply breath taking. During our stay, we made use of the beautiful and vast grounds - taking Tyne for a walk around the gardens and admiring the scenery. 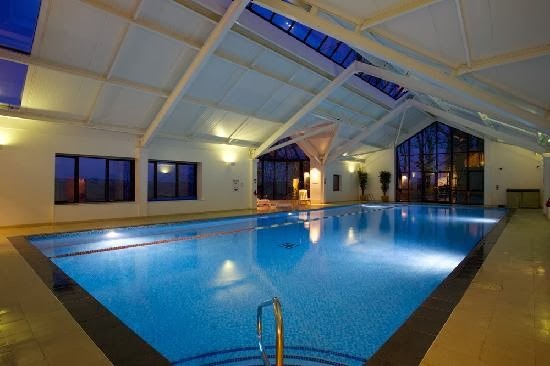 We also enjoyed use of the indoor pool which was very serene and peaceful, and also had large windows giving that all-important view! There was a jacuzzi, steam room and sauna within the pool area and the changing rooms were clean and well planned-out. We took our evening meal in the Devon View restaurant which is the hotel's formal dining venue. The staff were very attentive of Tyne and made us feel very welcome, even setting his place ready with a baby spoon and a little napkin! The children's menu was a little old for him, but the staff were more than happy to heat a pouch of baby food for us so that he didn't go hungry. Jon & I each enjoyed a 3 course meal. For starter, I chose the pea & watercress soup. While Jon had the Crayfish Tails with caviar. And Jon had the Strawberry Cheesecake with raspberry sorbet. Each & every one of Jon's courses were quite simply perfect - the crayfish tails were so fresh and simply delicious, the duck breast was cooked to perfection and presented beautifully, and the Strawberry cheesecake was light and fluffy and the raspberry sorbet the perfect accompaniment. As you can see, I decided to dine from the vegetarian options available for the purpose of the review - unfortunately I did find my options slightly less impressive than Jon's. I found the soup too thick for my liking, and the risotto slightly bland - but the chocolate tart really brought the meal back for me as it was absolutely delicious and the parsnip ice cream (which I would never have thought of trying) was actually delicious. My only criticism would be that perhaps more attention could be paid to the vegetarian options available, this aside - the rest of the meal was perfect and at £35 per person for 3 courses I found it very reasonably priced considering the quality and the setting. The HighBullen does also offer a more casual dining option in its Brasserie. After a very peaceful and comfortable night's sleep in our beautiful room, we returned to the Devon View dining room in the morning for breakfast. There was an array of cereals, juice and pastries on offer as well as cooked options - Jon & I both chose the Full Devonshire Breakfast which consisted of bacon, hash brown, black pudding, sausage, baked beans, tomato and mushrooms. The breakfast was delightful and made all the more enjoyable by the view from the dining room, which we hadn't been able to fully appreciate in the dark the evening before. Before we left, we also tried out the Club Bar in the nearby Pavillion after a morning's swim - we had sandwhiches for lunch, and again found the food to be delicious and the staff to be attentive. During our stay, we enjoyed taking in the beautiful surroundings and were quite amazed by how much is on offer to tourists in North Devon - there is so much around for children and adults alike, and we will most certainly be visiting for a longer holiday this year in place of our usual visit to Cornwall! If you are looking for a perfect luxurious weekend escape, a family holiday with a touch of glamour, or even a beautiful wedding venue in North Devon - I cannot recommend the Highbullen Hotel highly enough. Stay from £429 based on double occupancy in a standard room. To book, call 01769 540561 or email reservations@highbullen.co.uk.